How To Buy STI ETF In Singapore? Are you thinking of how to buy STI ETF? There are certainly various ways to invest in STI ETF. This depends on the investor’s investment quantum and preference. One of the key reasons why people buy STI ETF is due to its very low cost of ownership as compared to buying individual top 30 SGX stocks separately. You can either invest directly for STI ETF like a stock via security firms such as POEMS and Maybank. For those who prefer regular investment plans, you can need to compare the current fees of these regular monthly investment plans to be charged by the service providers. $5 (whichever is higher) For < $1k, $6. Note: The information presented above is dated on 3 Apr 2016 to replace SCB with Maybank Kim Eng. The service provider may change their terms and conditions or incorporate promotional offers to lure new customers for a limited period of time. Other usual fees such as clearing, trading fee is not presented in this table. Which Option To Buy STI ETF Is Better? If you are new to investing in ETFs or you have smaller investment capital to play with say a monthly investment amount of $100, POSB Invest Saver plan could be a good choice. Such regular saving plan can instill discipline in your regular investing habit at a very low cost of owning such STI ETF units. As it is an automatic deduction from your saving account, a one time setup will save you a hassle of doing this on every month unless you wish to adjust the monthly investment amount. If you have invested stocks before and you are very particular about the returns of your investments, My personal preference is to invest STI ETF via POEMS. This is mainly because it is my own preference to look at the chart of STI Index to invest a certain amount at the right opportunistic time to boost my overall returns. The attractiveness of STI ETF is increasing especially when STI Index is trending downing by a whopping 21% from its recent peak at 3539 (dated 15 April 2015) to 2793 (dated 2 Oct 2015). 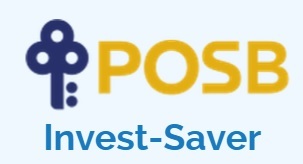 How to buy STI ETF through POSB Invest-Saver? Step 5: You are also required to click on the hyperlink to the Terms and Conditions Governing Investment in Funds and tick the checkbox before you continue with the application. Step 6: You will receive an ATM receipt confirming your application. Upon successful setup, the Bank will send you a confirmation letter to inform you that your investment into the POSB Invest-Saver is set up and when the first deduction will take place. The above write up is to share how to buy STI ETF and it should not be construed as an investment advise. If you like this post, do like my post and facebook of Value Investing Singapore. It will help to push me further to share more. Hi, I’m a beginner. May I ask if it’s safe to invest in spdr sti etf using scb? Feel hesitant after reading comments from teenageinvesting.blogspot.sg/2015/01/standard-chartered-is-closing-its.html?m=1. Any investment will come with a risk. But buying into STI ETF is a diversified investment strategy and it’s proven to yield decent returns in long term. Nikko AM STI ETF no longer have SCB as one of their distribution partners and SCB was replaced by Maybank KimEng. Perhaps you may like to consider other options such as POEMS instead of SCB. Can. You tell me how to buy s-REIT 20 Index .Thank you. S-Reit 20 index was launched by SGX but if you are keen to buy units of REIT ETF, check this REIT ETF Singapore post. This first REIT ETF was launched by Phillip Capital Management on 20 October 2016. Shouldn’t the fees for investing 2000/month in POEMS be $10, since its higher than 0.2%, which also means that the yearly fees in that case would be $120. 1. Wouldn’t it be cheaper that we just purchase from SGX (local stock market) like any other stocks instead of paying a Monthly Fee and a Yearly Fee? 2. What benefit does investing through the banks and brokerage as compared to purchasing ETF as stated in 1. above. 1. Buying ETFs can be as simple as buying a stock in a single lump sum. But you cannot buy ETFs directly from SGX, i.e. you still have to go through your licensed brokerage. The quoted options in the table are meant for regular investment plan rather than a single lump sum investment. foster discipline in investment. But such investment plans will need to go through the participating banks and brokerages. If I don’t have a regular income, does that mean that I cannot invest in the STI ETF? Can I not make a one off purchase? There may be two approaches. 1. You can do one time STI-ETF purchase on platform such as POEMs. 2. You can go for a disciplined approach via regular saving plan like $100/mth e.g. POSB Invest Saver plan. In any case, you should only invest on your funds which are not used for your daily expense as a guide. That’s safer in my opinion.